The 2018 GBSN Learning by Doing summit was a great success. 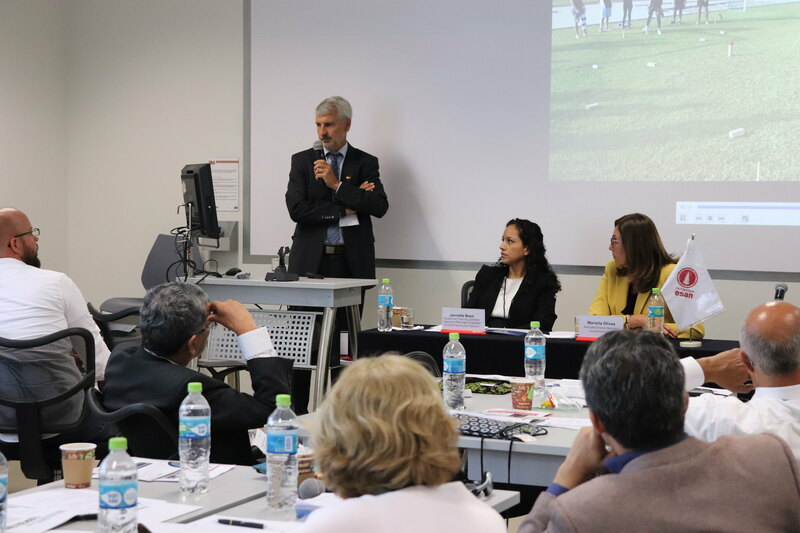 Over 60 leaders in business education and industry gathered in Lima, Peru to participate in a summit on “Learning by Doing: The Power of Experiential Learning in Management Education,” co-hosted by Universidad ESAN and CLADEA. Thank you to our sponsor Tourvest IME for supporting this event. Join the Experiential Learning Summit as a sponsor and you will affiliate your organization with a dynamic, innovative event that attracts the attention of leaders in international management education. Your support also helps GBSN continue its important work ensuring the developing world has the management talent it needs to generate prosperity. Click here for sponsorship opportunities and benefits. The Latin American Council of Management Schools – CLADEA is an international network that brings together institutions of higher education and organizations dedicated to teaching and research in the field of administration. Currently, CLADEA has 240 member institutions – both private and public – belonging to Latin America, North America, Europe and Oceania. CLADEA develops cooperation activities between directors and academics from different countries and maintains links with the main academic institutions of the world. It offers a membership that guarantees an academic quality certification for business schools. Universidad ESAN is a Peruvian, private, international, non-profit institution with academic and management autonomy, offering master’s degrees in administration, thirteen specialized master’s degrees, nine professional careers at the undergraduate level, as well as specialization programs for executives, research, consulting and other academic and professional services. Universidad ESAN, being the educational institution with the most recognized trajectory in the world of business in the country, offers each student a solid formation with high academic quality. This coupled with its international prestige and close relationships with major universities and academic institutions around the world, allows it to be the only ones to offer its undergraduate and postgraduate students the possibility of obtaining a double international degree , as well as participating in international student exchanges. with top-level institutions in more than 70 countries, as a differential to their preparation to successfully face the challenges of a globalized world. Stay tuned to this page and follow us @gbsnonline on Twitter and on Facebook for updates on registration, agenda and logistics.